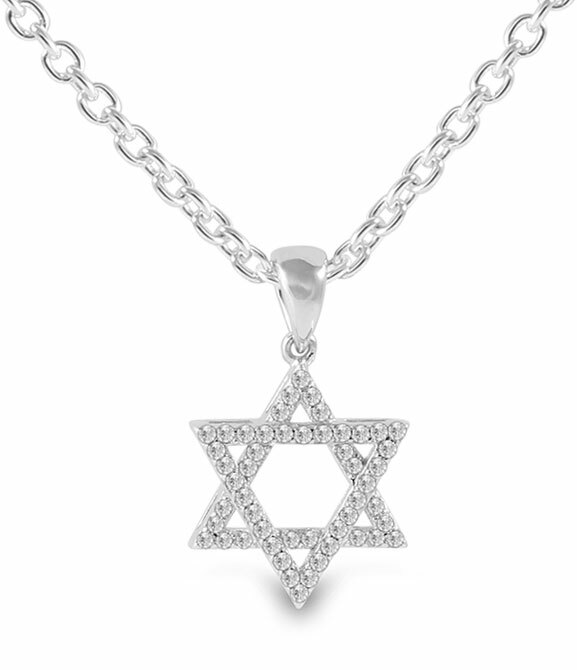 Sterling Silver Star of David Pendant with a path of sparkling clear cz's. A clean yet elegant style suitable for all ages. Measures 1/2" Long, (excluding the hanging loop).